Jewellery is always close to a woman’s heart. It completes her look and boost confidence. Considering the changing trends in jewelry fashion, it becomes difficult to choose the right one. Be it gold or artificial, we always wish that our jewelry stand out in style and quality as we invest a lot in it. Personally, I prefer artificial jewelry as it comes in reasonable rates compare to real ones, colorful designs and can have in varieties. I can flaunt different types on different occasions without compromising much on my pocket and is always safe to wear. But with artificial jewellery, there are a few things which I always look for as I have sensitive skin. The quality comes first so that it suits my skin and doesn’t cause any allergies or rashes, then the finishing and pattern which should look classic and then the costing part. As we are now living in digital era, gone are the days when jewelry could only be seen in stores. Now we can browse wide collection of fine jewelry at the comfort of our home. 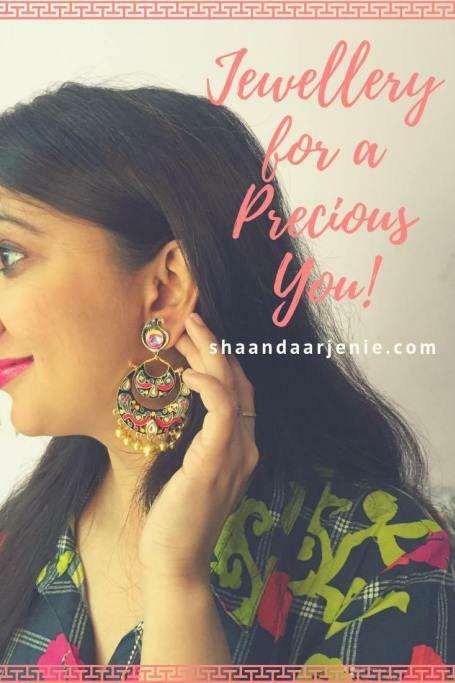 Recently I came across a website called preciousyou ,an online fashion jewelry site which is committed to source and curates the best jewelry for you. I liked their wide range of collection and finalized two earrings for myself. I loved the pattern at first glance. The Semi Precious Stones on it gives it a precious look. 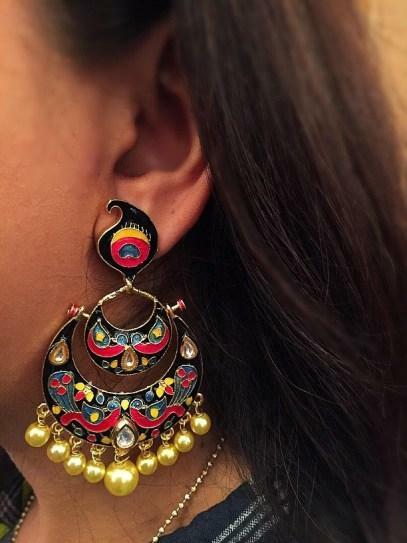 These can go perfectly with saree, kurta, and lehenga which will add an oomph factor to the outfit. It is quite light to wear and carry easily. It can enlighten the diva in every woman. An Exclusive Hand painted and unique designs that resonate divinity and art at every gaze. These beautiful hand-painted pieces are uniquely painted by the finest craftsmen of Nathdwara. Due to its colorful pattern, it can be worn with any outfit and dress color. It is a bit heavy to wear than the first one. Why Should you shop from Precious you? The collection is 100% authentic and guarantees the wearer a truly original look. The product looks the same as seen in images. They have a collection of the most exquisite pieces of fashion jewelry from places near and far that any modern woman would love to flaunt! 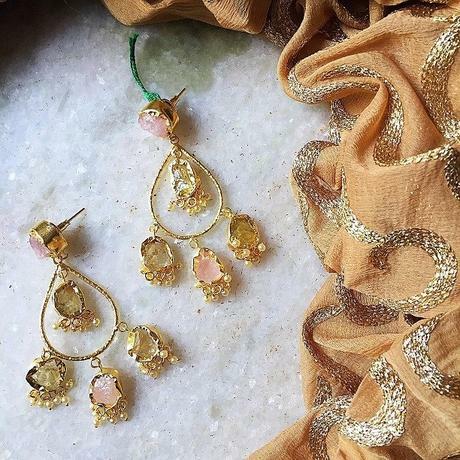 Be it a stunning pair of embellished earrings from Afghanistan, a traditionally handcrafted necklace from Nepal or a fabulous piece of jewelry all the way from Kazakhstan. Their dedicated team will guide and help you to have a smooth and hassle-free shopping experience. You can contact them with any queries or doubts. Both the earrings look exactly the same as shown on their site. The quality is good and gives a rich look. It comes in safe packaging and they make sure to wrap it properly to avoid any kind of damage during the transit. The only thing that made me a bit disappointed was the jewelry came in a plastic box; it has a tick-tock lock but look very simple. Hope, the team soon works on it and comes out with an attractive statement jewelry box. Overall, I had a good experience and would definitely recommend shopping the most exclusive fashion accessories for the Precious you or for the precious one in your life. Let me know your thoughts on my picks.